In her quest to solve her family’s sleep problems, Michelle Kronenberg Goodman, a teacher in Westchester County, NY, turned to an unlikely source: CBD oil. Her 17-year-old daughter is sleeping better than ever, she reports—without side effects: “Melatonin made her groggy the next day, but CBD doesn’t.” Goodman drops her own daily dose in her tea at night. “It calms me better than a glass of wine,” she says. Goodman and O’Connell are just two of a growing number of people who are finding a cure for modern ills in an ancient remedy: CBD oil. CBD, or cannabidiol, is one of more than 100 natural compounds with healing properties found in cannabis. CBD oil derived from hemp—a relative of marijuana—contains no THC, so it won’t make you high. And unlike marijuana, hemp is now completely legal, as a result of the U.S. Farm Bill passing Congress this month. This natural remedy is popping up in everything from trendy cocktails and spa treatments to tasting menus and coffee. 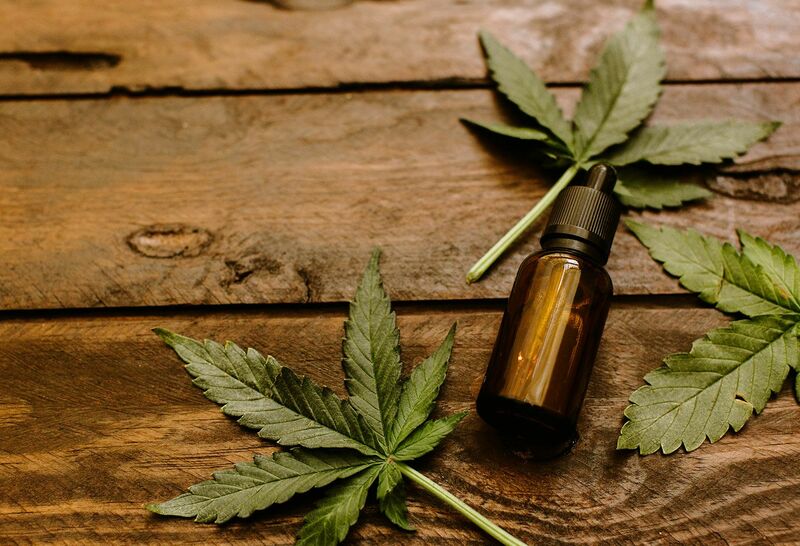 The hemp-CBD market is expected to reach an almost-unbelievable $22 billion by 2022, according to Brightfield Group, a marketing research firm focused on the CBD and cannabis industries. CBD is appealing to people who are burned out, stressed out, and in pain. Many, like O’Connell, try it after hearing that it worked for a friend. So what does CBD treat? CBD helps with symptoms that seem to be pervasive in our society: anxiety, insomnia and chronic pain, to name a few. Despite encouraging anecdotal evidence, there’s still not a lot of great scientific research to back up CBD oil and medical marijuana. That’s because the federal government classifies cannabis as a controlled substance, like heroin, so it has been difficult to get approval and funding to do scientific research. (That situation should improve now that hemp is legal.) What we do know, thanks to solid research: CBD oil helps children with two severe forms of epilepsy that don’t respond to traditional drugs have fewer seizures. It also reduces nerve pain. Medical marijuana has been reported by patients to help alleviate cancer-related symptoms such as chemotherapy-related pain and lack of appetite. And when people with chronic pain use medical marijuana, opioid use goes down. The biggest danger doctors worry about with CBD oil is drug interactions. Cannabis products can interact with everything from common antibiotics to the blood thinner Coumadin. To make sure you’re safe, talk to your doctor about which drugs you’re taking or go to a drug interaction checker like the one at drugs.com and plug in all your meds along with “cannabidiol” to make sure you won’t have a problem. Also keep in mind that these products aren’t regulated by the FDA, so it's buyer beware, Dr. Martins-Welch advises: “It’s like a fish oil supplement. You don't know that what you're actually buying is legit.” And as for those CBD-infused cocktails and anti-aging lotions, don’t expect much. “It’s an expensive ingredient,” Dr. Martins-Welch says. “I'd be surprised if they're using high-quality CBD.” It’s also not clear how much CBD we absorb through the skin or via an edible, as opposed to in an oil. To make sure you’re getting a pure oil, get recommendations from friends and research companies’ reputations online. Dr. Martins-Welch likes ravereviews.org, because their ratings line up with the feedback she hears every day from patients. Meet Dr. Diana Martins-Welch, internist at Northwell Health. Having trouble sleeping? Your hormones might be to blame. Looking for something else? Try these 5 holistic therapy techniques.